The results of the UPSC exams held in the year 2018 are out and as every year, we have hordes of success stories, stories of real and strenuous hard work and commitment, sagas of over-the top success, not so successful and then those that could not make a successful mark. Stories that weave together the struggle and hard work hitting across the length and breadth of our country and making their families proud has been announced yet again. Mr.Kanishak Kataria has topped the exams by scoring the 1st rank this year (2018). It is interesting to note that Mr. Kataria is an engineering graduate from IIT, Bombay with an honors degree in Computer Science and Engineering. His high CGPA of 9.07 explains his outstanding academic achievements. Earlier, he had managed to grab top spots in the many entrance exams he took up to get enrolled for his BE program. 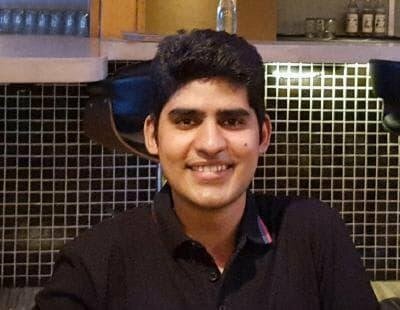 Mr. Kataria has also undergone a summer internship program under the guidance of Mr. Chetan Parulekar at Microsoft India Development Centre, Hyderabad. He is currently working as a software engineer with Samsung Electronics at South Korea. Mr.Kataria is an expert in his field and has worked on key academic projects such as ‘Electrical circuit analyzer’ and ‘Virtual memory implementation’ amongst many others. He has successfully developed social search engines in Yahoo and has written a random sentence generator. Mr. Kataria has all relevant technical skills and expertise and the amazing number of projects that he has worked on is proof enough of this. Nowadays we see a rise in the number of aspirants appearing for the UPSC exam from technical fields and Mr. Kataria is no exception. It is very clear that a person, who is ambitious with his dreams, from whatever field he may be from, shall taste success definitely on his path. The success path to IAS is not an easy one and it takes tremendous amount of dedication, commitment, hardship and smart work to fly with success in the exams. Mr. Kataria is surely an inspiration to all IAS aspirants and we must surely read through his success story. He has made the country and his family proud with his achievement. Gaining success in one’s dreams may not be every one’s cup of tea. Nevertheless, with utmost confidence and discipline in one’s approach, we can surely hit success without doubt. Here we discuss a few points that may help aspiring IAS students in their journey of UPSC exam preparation. Any IAS aspirant would surely know that the IAS preliminary exam consists of both the preliminary and the mains exam, followed by the interview. Hence placing a balanced amount of pressure and equal weightage to all the three sections is the first and foremost step towards a great preparation start. A positive and straight forward approach towards the exam is necessary to step into the world of preparation. Create an achievable and strategic time table that will help you realistically complete your studies on time and preparation well in advance. Set a goal to clear your studies and set time aside for revision. Hold peer discussions and clear your doubts well in advance. Keep in place crisp and referable notes that you can completely rely on. Do not depend too much on what others have to tell you. Your preparation should go with your ability and reflect your mindset. It’s a good idea to take up coaching classes, but that shouldn’t be on priority basis. Make sure it isn’t eating up too much of study time and giving you time to focus on your studies and power breaks as well. If you aren’t going for coaching, don’t fret. There are many who depend on themselves and get the best results. Attempt as many mock tests possible. Study the exam pattern well. Analyze your core strengths and which area in the question paper gets the best out of you. Keeping track of time is the most crucial aspect, be it with preparation or in the exam paper. Do not postpone easy questions till the end. You should be attempting them first in the least time duration possible. Beware of wrong choices that could lead to negative marking. Avoid unnecessary piling up of material and overdoing studies without taking power breaks to revise already learnt stuff. It is wise to refer to stories of successful candidates like Mr.Kataria and try to know what aspect in their preparation helped them. It’ll surely help to learn from them, how they solved papers and what strategies they applied. It is also a good idea to discuss preparation tricks and tips and implement them in our preparation tactics so that we get smart in our approach. Last but not the least, a confident and positive mindset is all that it takes to clear any tough exam and with good practice, even the impossible becomes a possible and achievable asset.